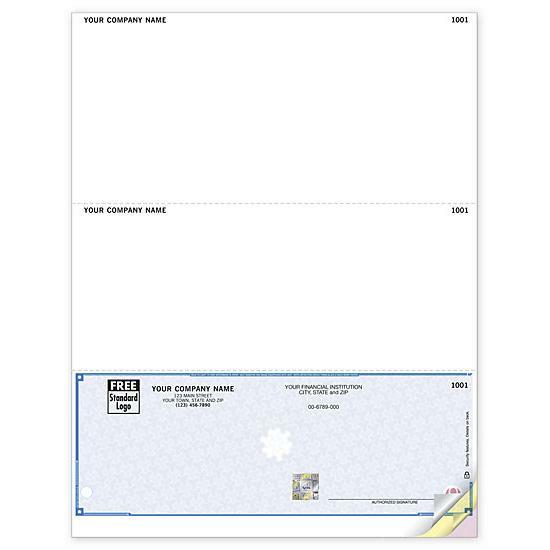 1 checks per page - Order checks online now! 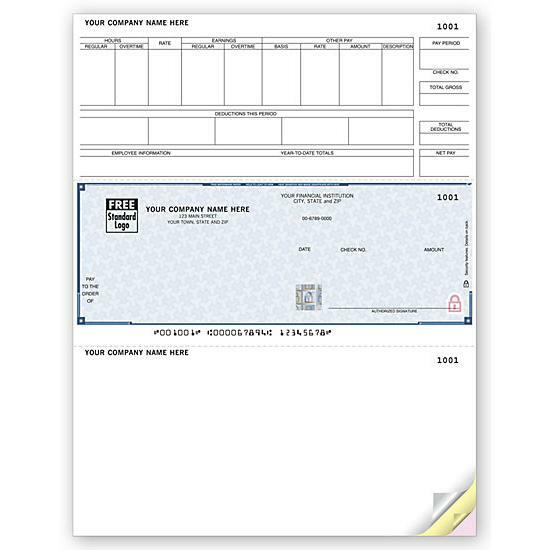 Deluxe high security checks are the most secure checks available. Trusted by 7,000 financial institutions nationwide. Anti-copy technology: Deluxe High Security Checks use state-of-the-art technology to prevent most copiers from creating a usable copy. Safety Hologram: Multi-dimensional foil seal hot stamped to check stock cannot be photocopied and includes security features. Numbering systems: Choice of consecutive (face up) or reverse (face down) numbering; depending on your printer setup. Compatible Sheet Format: Fits all standard laser & inkjet printers; multi-part options include up to 2 color-coded duplicates on separate sheets. Free personalization: Include your business imprint plus choice of standard check color, typestyle & standard business logo. Additional customization options available at an additional charge. Fast delivery: Ships within 3 to 5 business days.